When choosing a colour palette you will want to keep the same colour theme throughout your home. What feeling are you going for this year? 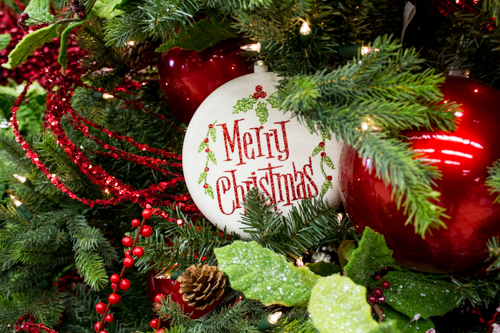 Having a colour palette and theme will help you decide on the types of Christmas decor you will need for your perfect tree. 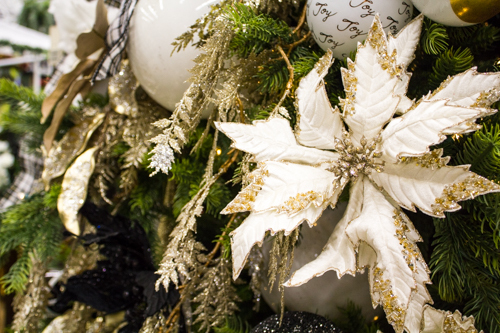 First decide if you want lots of ornaments or minimal decorations.. 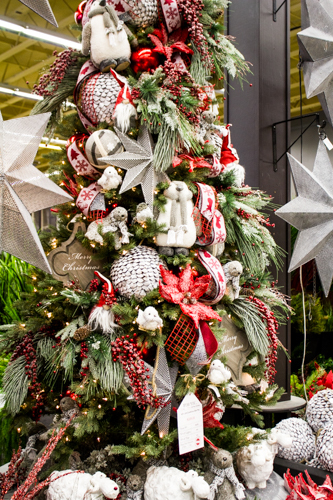 When you want lots of ornaments you are most likely going to want an artificial tree with lots of spacing between the branches. The weight of the decorations can be too much for a live Christmas tree. 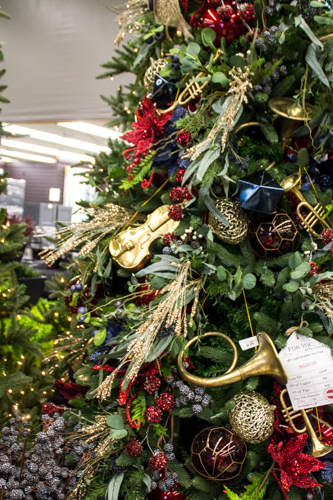 If you choose a very full tree, you won’t be able to get the amount of ornaments you anticipate onto your tree. 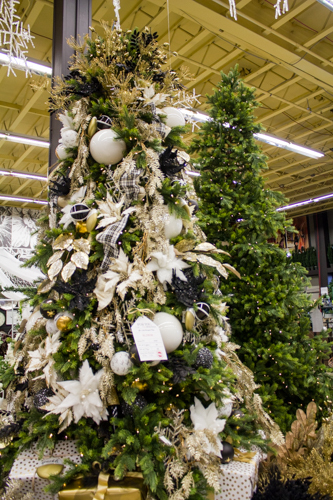 If you are only looking for a few decorations to be on the tree, you can get a fuller tree. Maybe even add some garland to make it extra full! Click HERE to go to our How to Choose a Christmas Tree informational post for more details on picking the perfect tree. Lighting: All of the Silk Plant Warehouse trees are pre-lit. Some even include the Easy Pole Feature. This means the power is run through the pole, and when you have all the layers on properly your whole tree will light up! If you choose to install your own lights this should be the first thing you add onto your set up tree. Follow the loose rule of lighting 100 Mini Lights to 1ft of tree. So if your tree is 5ft you need around 500 Mini Lights. Remember Silk Plant Warehouses trees are perfectly lit and spaced for time and sanity management. 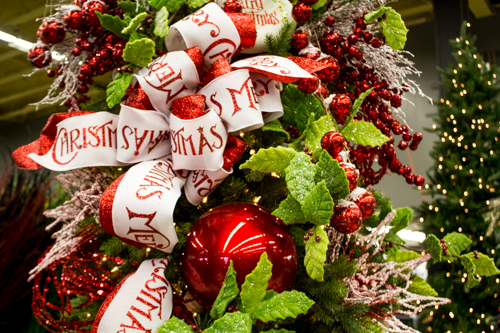 Ribbon: Ribbon is a great way to add colour and texture to your tree. Bows or streams of ribbon around or spiraling down your tree. 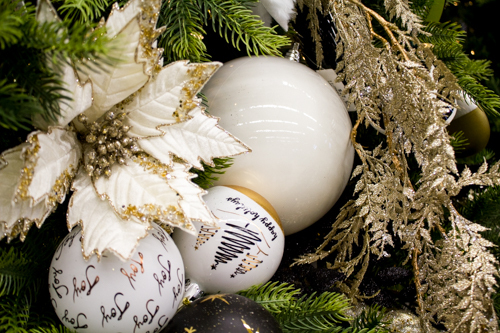 Figurines/Specialty Decor: Some decor isn’t as traditional as a simple ball ornament. 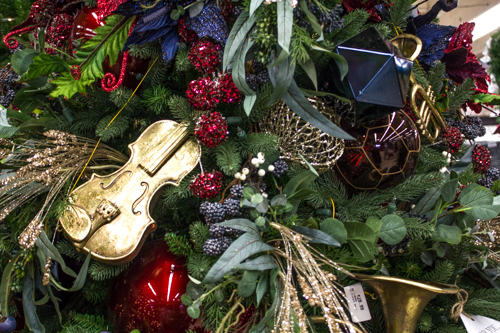 There are “Merry Christmas” signs, woodland creatures and even brass instruments! Start by adding your largest pieces first. When choosing placement for these keep in mind it easier to add pieces closer to the base of the tree and work your way out! You don’t want to knock off decor you have already placed. 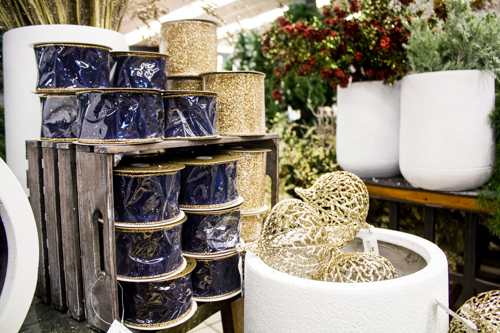 Continue adding ornaments in a scattered and spread out fashion to accent your large focal point specialty decor. Tip: If you have sparkly ornaments use them to reflect the light, add them closer to the base of the tree to help your tree be lit to perfection. Balls/Ornaments: Now add the largest ornament balls first. Spread these out amongst the tree in a zig-zag pattern Start adding smaller ornaments to accent the large ornaments. 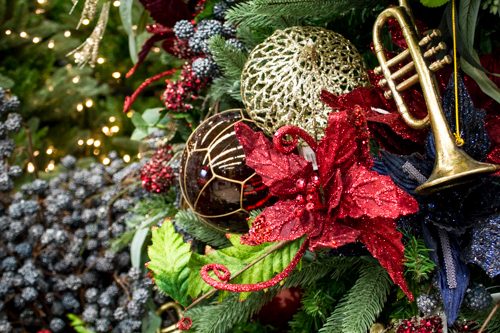 When you have your all of your balls evenly spaced you can move on to the holiday floral picks! 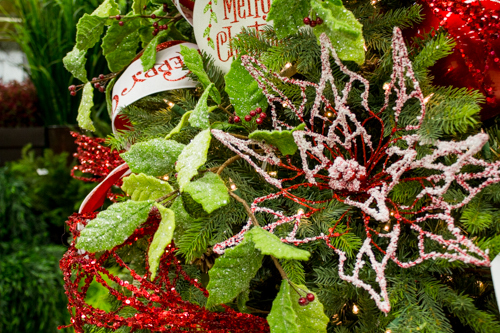 Christmas Floral Inserts: Choosing floral picks for your tree can be one of the most fun decorations. Here is where you can add sparkles, berries and even gorgeous flowers! 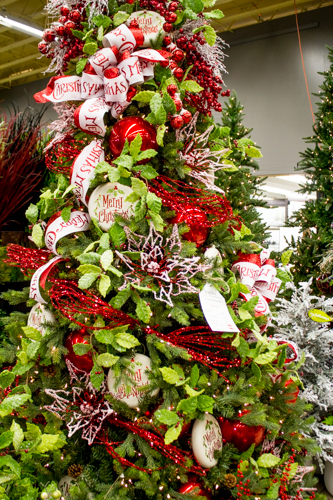 Usually adding around 2-3 type of floral picks will give your tree the most depth and vibrancy. Space them out around the tree to keep an semi-even spacing and fullness. Floral picks are so diverse and prominent in a tree that you can change the look of your tree each year by simply choosing new ones! Having a gorgeous tree is one thing.. but to have a fully functional and cohesive holiday decor is what being a pro is all about! Look around your living room or place of decor. Do you have ledges, empty floor space or even a bare coffee table? All of these are perfect for small additions to pull you look together. Garland & Wreaths: Add garland to fireplace mantels, shelving or even railings! Use the same/similar garland type to have a cohesive look. Decorate according to the style you have chose. 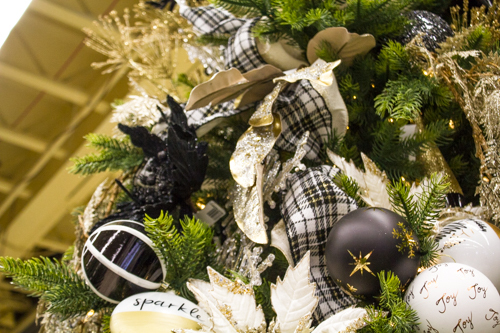 Use the same decor you have placed in your tree. 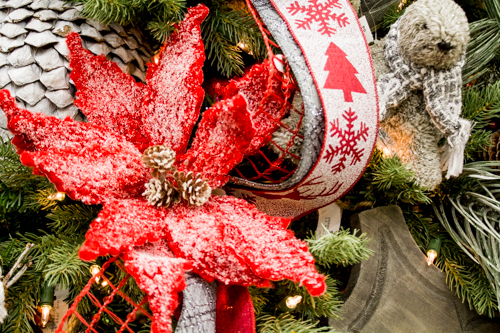 Holiday Figurines: Placing your figurines in your tree is one thing, but start to add them around as decor. Be sure to decorate under your tree with these and even add some gift boxes that match your style. 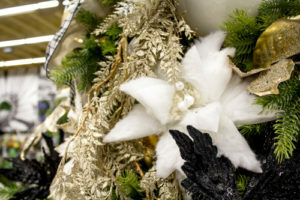 Holiday Floral Arrangements: Silk Plant Warehouse has some of the most talented designers around. 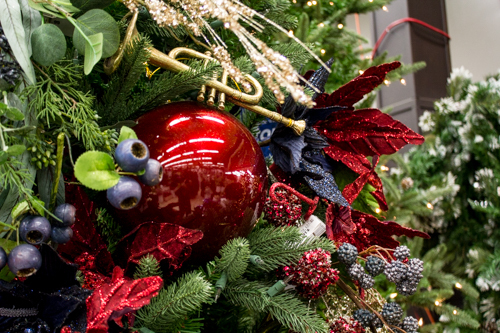 Come see some great arrangements that will make your visitors jaws drop! 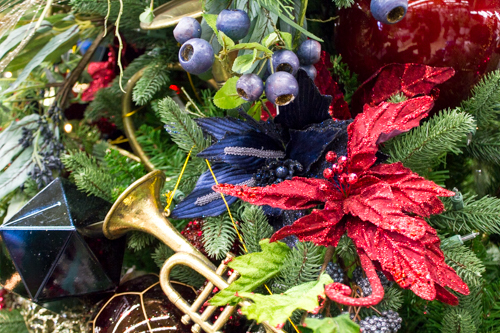 These arrangements can also help tie together your holiday look in your home. We cannot wait to see what you brilliant design gurus come up with! 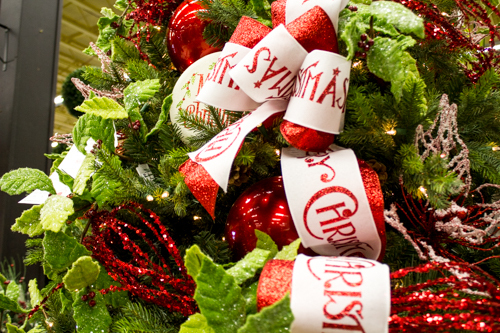 A professional-looking Christmas tree has a central look that ties all its decorations together. 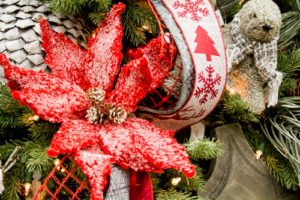 Deciding on a theme before choosing your decorating items sets the tone for your materials and gives you a clear idea on how to decorate your tree.